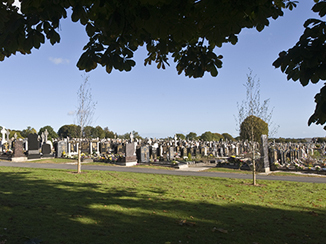 Fingal Cemetery was opened in 1984 and is now maintained by Fingal County Council. 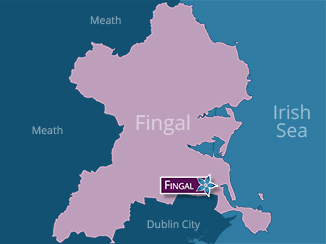 Many residents of Dublin City, as well as of Fingal, are buried in this very large cemetery. To reach this cemetery, take the North Strand Road from the City centre, through Fairview, and turning left onto the main Malahide Road, keep straight on this road out towards Malahide, where you will come to Campion Public House, Balgriffin. Take a right turn at the traffic lights here and the cemetery is a few hundred yards on your left hand side. You can also take the No. 42 bus and get off at the bus stop beyond Campion’s and walk across the road to enter by a side entrance gate.